It can be hard to know if your avocado is ready to eat and sometimes we’re left with over-ripened options and aren’t sure what to do with them. With how expensive this fruit is, it’s important to have a back-up plan for when things go south. 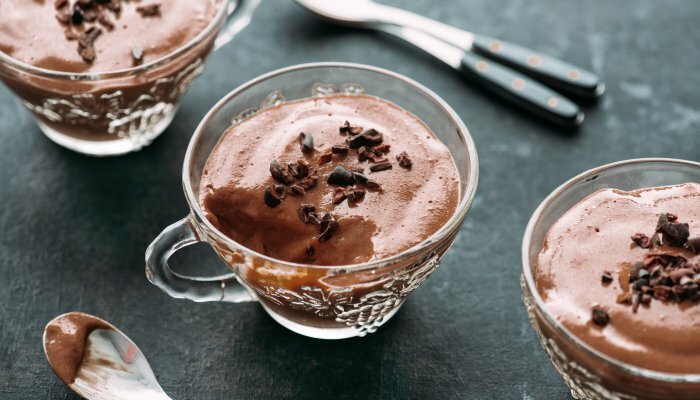 This chocolate-avocado pudding from waste not by the James Beard Foundation is a tasty solution. Instead of tossing out your bruised and brown avo’s whip them into a creamy (dairy-free) chocolate avocado pudding. You’ll blend two favorite of our favorite ingredients: avocado and chocolate into a melt-in-your-mouth puree and top it with your choice of strawberries, hazelnuts, or olive oil. With this recipe on hand, you won’t have to toss your less than perfect avo’s and feel free to customize it depending on if you’re feeling salty or sweet. Here’s to reducing our food waste and saving some money.